Transformers: Devastation is the Platinum Games project we didn’t know we needed till we saw it. As suspected, Transformers: Devastation comes to us courtesy of Bayonetta developer Platinum Games. We knew this before E3 2015 thanks to a leak and a retailer goof, but it’s good to have confirmation via an E3 2015 reveal – and a glorious trailer to look at. Behold! 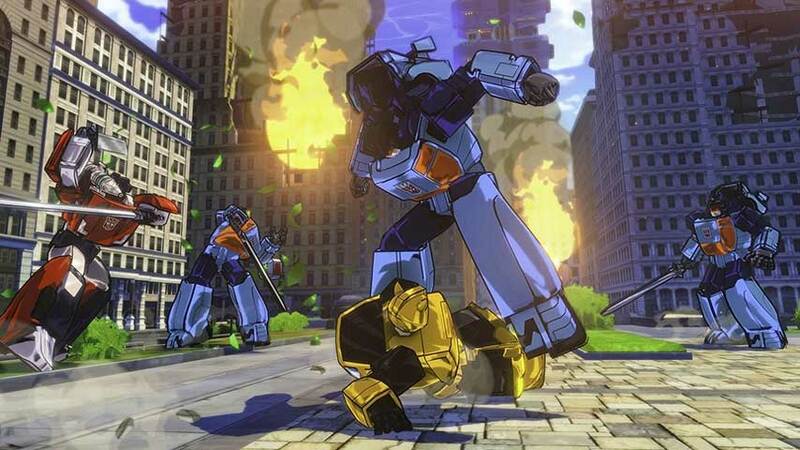 In a press release, Activision described Transformers; Devastation as “a third-person action-brawler game” with “fast-paced action” – the combo-based stylish action Platinum is known for, apparently. “Transformers: Devastation harnesses the unique abilities of its heroes to convert from robot to vehicle form to extraordinary effect,” Activision said. You can choose from Optimus Prime, Bumblebee, Sideswipe, Wheeljack and Grimlock, and unlock new skills, forge new weapons and augment characters. It’s coming to PC, PlayStation 3, PS4, Xbox 360 and Xbox One later this year.